This lot features a Scorpions group signed 11x14 photo. Signatures include: Klause Meine, Rudolf Schenker, Mathias Jabs, Pawel Maciwoda and James Kottak. Each member has signed in silver marker. Scorpions are a German rock band formed in 1965 in Hanover by Rudolf Schenker. 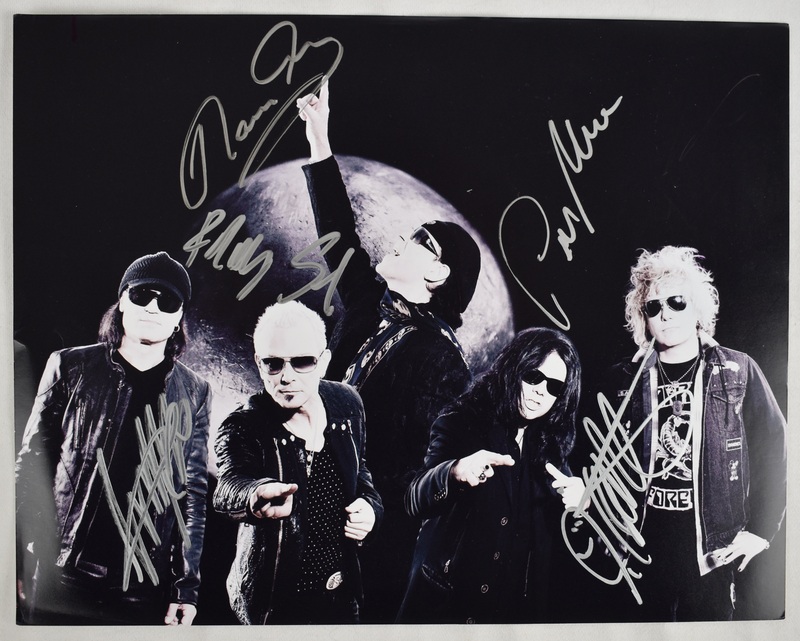 Scorpions have received prestigious awards such as three World Music Awards, a star on the Hollywood Rock wall and a presence in the permanent exhibition of the Rock and Roll Hall of Fame. In 2015 the group celebrated its 50th anniversary.